The lower price variant of HTC 10, the HTC 10 Lifestyle, which aims to pass on the same flagship experience to a different class of users, is now available in India for 49,990 INR. You can buy HTC 10 Lifestyle from online and offline stores. The HTC 10 Lifestyle replaces the quad-core Snapdragon 820 in 10 with the second in command Snapdragon 652. The RAM capacity has been reduced from 4GB to 3GB as well. Apart from these couple of changes everything remains same as on 10. The 10 Lifestyle flaunts a mesmerizing metallic design, has a gorgeous 5.2 inch QHD display panel, pumps powerful Boomsound audio, and employs HTC's best camera hardware till date. On the rear, you will find 12 MP sensor with large size pixels, f/1.8 lens,, OIS, laser autofocus and dual-LED (dual tone) flash, and on the front a 5MP shooter with OIS is in charge of selfies. Other features include 4G LTE, WiFi 802.11 ac/a/b/g/n (2.4 and 5GHz), Bluetooth 4.2 and GPS with GLONASS, NFC, USB Type-C, Fingerprint sensor, Quick Charge 3.0 and 2TB microSD card support. 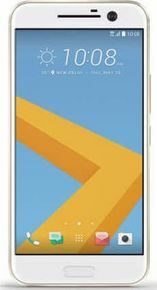 The lowest price of HTC 10 lifestyle in India is 49,990 INR at the time of writing. It is a good phone with great features. It has a fingerprint sensor. But in this website, they written as this phone has no fingerprint. Dual Speaker with dolby is amazing. But it has some small cons given below. Price is too high. With this spec price should be 20K only..
Internal should be 64gb/128Gb at this price range..